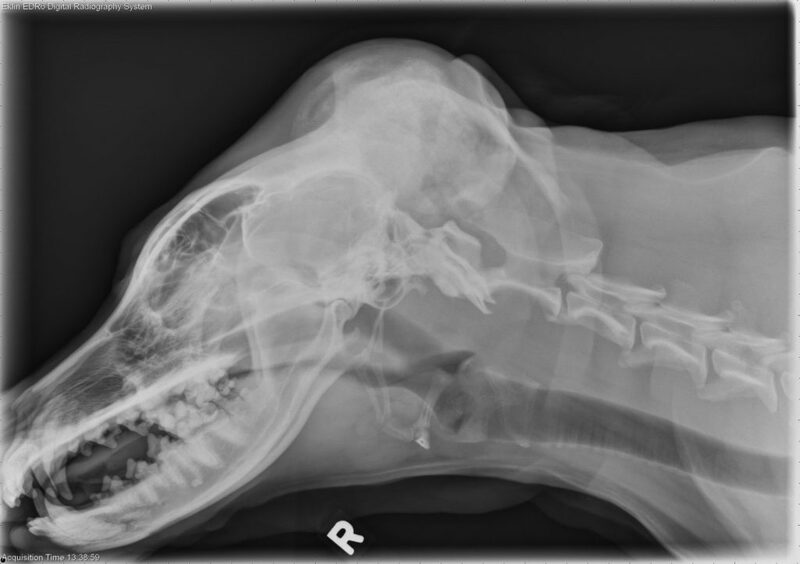 This week’s case is a 6-year-old Labrador Retriever presented with an enlarging mass on its head. How would you describe it? There is a granular, mineralized mass present on the occipital bone of the skull and projecting caudally. The cortical margins are lytic in the region of the mass. 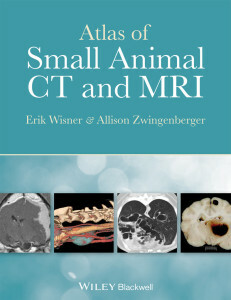 Although the calavarium appears normal, the mass may be present within it, which would be better assessed on CT images. The soft tissues dorsal to the mass are distorted. The remainder of the osseous and soft tissue structures of the head are normal. Fine needle aspirate revealed a sarcoma, however further differentiation was not possible.